Anago offers a number of floor services that are perfect for the many different types of flooring we come across every day. Our floor care services include carpet cleaning, floor buffing, waxing, sealing, stripping and more. Are your floors worn down from constant use? If so, we can return them to their prime condition by virtue of the services we offer. Strip, Seal and Wax: Our floor cleaning professionals strip old wax from your floor as well as the edges of door frames and baseboards. Next, they apply a sealer-enriched high solids wax of four to five coats. Top Scrub and Recoat: We rough up your floor surface and apply two coats of wax. This process is performed when there is enough wax on the floors and they have yet to turn yellow but have scratches or marks in the surface. Spray Buff: This process begins with us damp mopping your floor, then lightly spraying a mixture of wax and water followed by a machine buff. Our professional floor maintenance technicians are used to working with wax solids contents of 18% to as high as 30% depending on the use your floors receive or the type of facility you have. You can also choose from a low sheen finish or a wet look. Commercial carpets, area rugs, Berber carpeting, oriental rugs, etc. Hot water extraction or steam cleaning is a cleaning method that begins with dry soil removal (vacuuming) followed by pre-conditioning. Hot water is applied (between 110 degrees to 165 degrees) to the carpet from a holding tank or heating coil incorporated into the cleaning unit. The pressurized solution, often combined with detergent, is injected into the carpet. Suspended soil is removed by combining the flushing action of injected solutions with wet vacuuming. Normal drying time required is 12-24 hours. We also offer Spot Cleaning of carpets via the use of a special spot cleaning machine, as well as removal of deep set-in stains by way of bonnet cleaning. Upholstery cleaning is performed by way of an upholstery cleaning hot water extraction method for use on any type of commercial grade furniture and fabrics. Ceramic tile cleaning is done by performing a machine scrub with a low speed floor machine to remove dirt from ceramic tile and to loosen dirt in grout. We then wet dry vacuum excess dirt and water. We use acid wash in cases where dirt is ground into the tile and has been allowed to build up excessively. In cases where ceramic tile grout differs in color due to excessive wear in high traffic areas, we will hand scrub the grout in order to return it to its natural color. At Anago, our professional floor cleaning specialists are well trained in cleaning various types of floors properly. 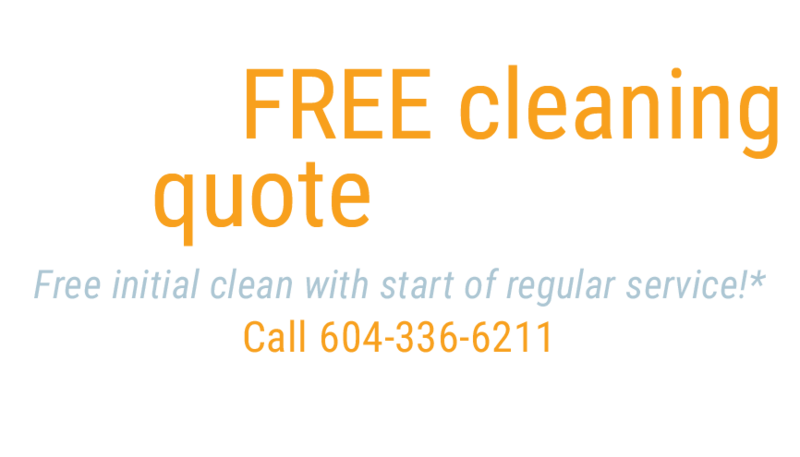 We work throughout Metro Vancouver from West Vancouver and North Vancouver, through Downtown Vancouver, Richmond, Delta, Burnaby, New Westminster, Coquitlam, Port Coquitlam, Port Moody, Maple Ridge, Pitt Meadows, Surrey, Langley, and Abbotsford. Call today and we will quickly get you a quote on either a one time floor clean or a regularly scheduled service so that you can keep your place of business looking its best at all times.